﻿ Lightning and surge arresters - class I+II - Fatech Electronic CO., LTD.
Fatech Electronic (CHINA) LTD Class I+II lightning and surge arresters, is suitable for TT and TN earthing systems. 3P+N construction lightning and surge arresters based on large power metal oxide varistors and assemble a metal oxide varistor and a gas discharge tube in series between phase line and neutral line, with no follow current. It usually installed in sub-distribution boards. 1pc Spark Gap based SPD + 1pc MOV based SPD. Class B+C / Type 1+2, Iimp=50kA (10/350us), Uc=275Vac. 1 phase. With remote control contacts & inspection window. 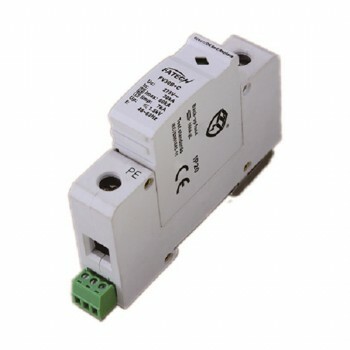 Surge protective devices for protection of power network 220V/380V. MOV based. Class B+C / Type 1+2, Imax=60kA (8/20us), Iimp=7kA (10/350us), Uc=150Vac, 275Vac, 320Vac, 385Vac, 440Vac. 1 pole. With remote control contacts & inspection window. 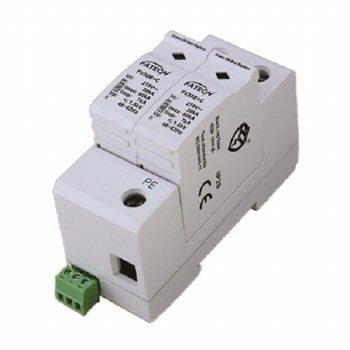 Surge protective devices for protection of power network. MOV based. Class B+C / Type 1+2, Imax=60kA (8/20us), Iimp=7kA (10/350us), Uc=150Vac, 275Vac, 320Vac, 385Vac, 440Vac. 2 poles. With remote control contacts & inspection window. 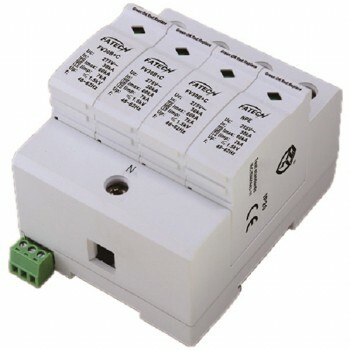 Surge protective devices for protection of power network. MOV based. Class B+C / Type 1+2, Imax=60kA (8/20us), Iimp=7kA (10/350us), Uc=150Vac, 275Vac, 320Vac, 385Vac, 440Vac. 3 poles. With remote control contacts & inspection window. 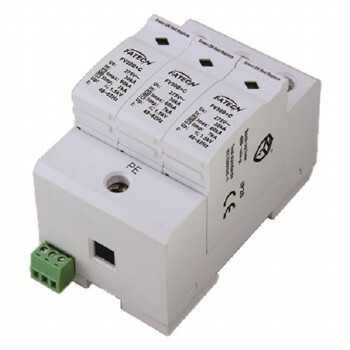 Surge protective devices for protection of power network. MOV based. Class B+C / Type 1+2, Imax=60kA (8/20us), Iimp=7kA (10/350us), Uc=150Vac, 275Vac, 320Vac, 385Vac, 440Vac. 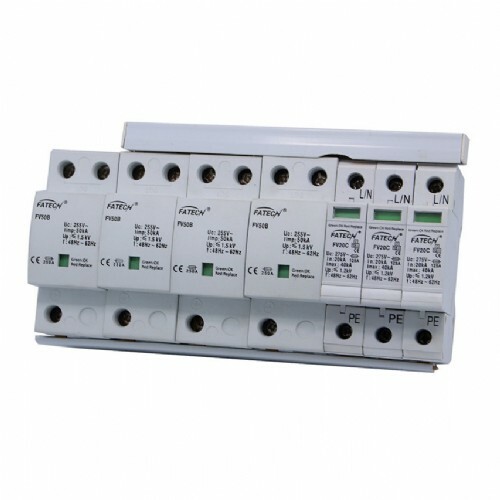 Three phase. With remote control contacts & inspection window. Surge arresters for protection of power network. MOV based. Class B+C / Type 1+2, Imax=60kA (8/20us), Iimp=7kA (10/350us), Uc=150Vac, 275Vac, 320Vac, 385Vac, 440Vac. 1 phase, 1P+N. With remote control contacts & inspection window. Surge arresters for protection of power network. MOV based. Class B+C / Type 1+2, Imax=60kA (8/20us), Iimp=7kA (10/350us), Uc=150Vac, 275Vac, 320Vac, 385Vac, 440Vac. 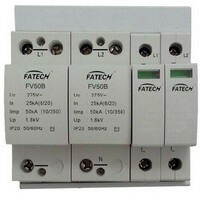 Three phase, 3P+N. With remote control contacts & inspection window. Surge arresters for protection of power network. MOV based. Class B+C / Type 1+2, Iimp=12.5kA (10/350us), Uc=150Vac, 275Vac. 1 pole. With remote control contacts & inspection window. Surge protective devices for protection of power network. MOV based. Class B+C / Type 1+2, Iimp=12.5kA (10/350us), Uc=150Vac, 275Vac. 2 poles 1 phase. With remote control contacts & inspection window. Surge arrester for protection of power network.